Why Does Our Face Turn Red When We're Angry Or Nervous? 3 Comments on Why Does Our Face Turn Red When We Are Angry Or Nervous? Face turns red when we're angry, embarrassed, nervous, stressed or fearful. These all happen under the command of our overactive sympathetic nervous system. Suppose you are terribly angry at someone for something they did. Well, at that moment, the person you are mad at might notice that your face is turning red. Also, you might feel as if your blood were ready to boil and steam ( although physiologically impossible) was about to come out of your ears. So why does your face turn red when you are angry? In this episode of SciShow, host Michael Aranda explains that when something causes us immediate stress, or even something that is mildly upsetting, our overactive sympathetic nervous system takes it as a threat, and activates the “fight” or “flight” response. And, this response affects the whole body, making us prepare to either fight the threat, or run away from it. Our sympathetic nervous system regulates the diameter of blood vessels in our body. The reason why it makes such response is to make sure our body maintains inner balance when we are confronted with threat, either physical or emotional. And well, this thing called anger, triggers the expansion of the blood vessels that run very close to the surface of the skin, which is, in our case, face. And, this expansion allows more blood to flow in, turning the face red. This expansion of blood vessels, which also known as vasodilation, is usually caused by histamine. And, in some people, this compound can cause itching. “And unfortunately, the whole process happens at the command of the sympathetic nervous system — which means it’s involuntary and uncontrollable,” he explains. 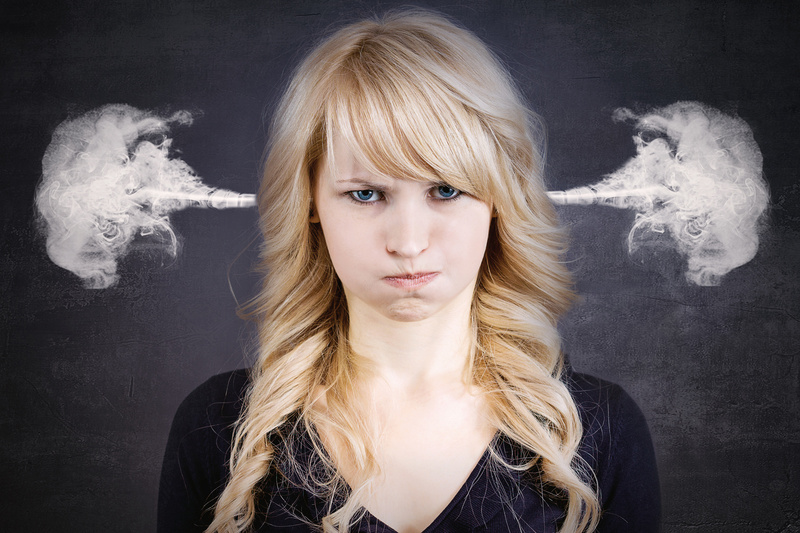 Anger is not the only emotion that causes flushing. Similar thing happens when we are embarrassed, nervous, stressed or fearful. This sort of thing is usually anxiety related, and it’s just that – it makes our skin wants to react to it by flushing, which in fact, is a normal reaction for our body so that it regulates its inner temperature. The effects are mostly seen in people with lighter skin, but the same response happens to everybody, regardless of the color of their skin. In another study, anger does not only make your face turn red, it also makes you see red. People with hostile personalities are much more likely to see red over other colors, and researchers believed it’s all because our ancestors linked the color red with danger and they used it as one of the means to avoid poisonous plants, dangerous insects and other potential threats.